The beechwood contains no impurities, no bark, neither adhesives nor hydrocarbons, nor any type of aggregating additive. Discover all the advantages of the first BIOMASS PLUS certified briquette. 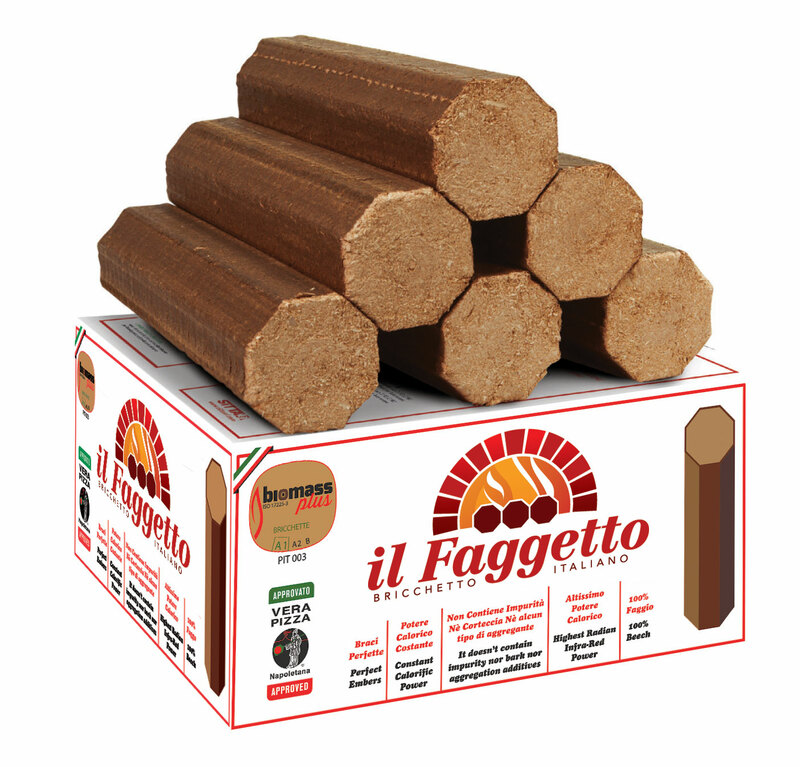 The “il Faggetto” briquette allows to reach the perfect temperature in less time. Reduces emissions of carbon monoxide in the atmosphere, and even the soot in the chimney. Ensures manageability and stability by preventing rolling in the stalls. With the same weight and size it exceeds by far the best traditional wood. Ideal for cooking in the refractory oven because it allows cooking not only for conduction and induction, but also for radiation. It makes it much better than traditional wood because it is pure virgin wood essence of the best beech. Tested and certified by chemical and bacteriological analysis for food cooking. Each box weighs 18 kg and contains 8 briquettes allowing ease of storage, order and cleaning under the oven.